Learn how to conduct more effective meetings! There are 8 stages of how to conduct a meeting. The effectiveness of the meeting often relies on the host's preparation, the note takers ability to capture the important data and the attendee's involvement in discussing the topics. If you are struggling with running effective meetings, software programs like MeetingBooster simplify the 8 stages, allowing you to streamline meeting processes within your organization. Treat your meeting like any other work activity. Without proper preparation, the effectiveness of your meeting will suffer. When learning how to conduct a meeting, a Meeting Checklist can be helpful to ensure that you have all of the meeting requirements covered prior to starting the meeting. When conducting a meeting, timing is everything. Employees are busier now than ever before. 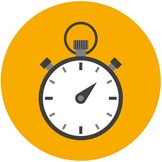 With downsizing and more agile environments, every minute counts. A proper agenda assists in covering all of the necessary topics, but an accurate estimation of topic times is crucial to ensure that you are able to cover all of the agenda topics. Powerful programs such as MeetingBooster assist users to properly schedule topic times by disturbing extra time between available agenda topics. The fewer meetings you have, the more effective each meeting must be. 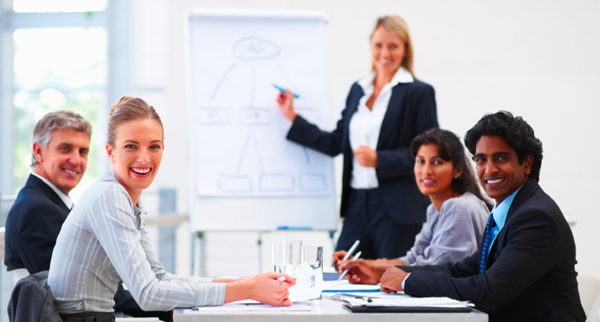 Proper pre-planning is the key to learning how to conduct a meeting in a more efficient manner. Only schedule a meeting when it is absolutely necessary. If you can achieve your goal through a 1-on-1 discussion, telephone call, or e-mail, you will save time and money. If the meeting is necessary, be sure to get the most out of your meetings. Tracking meeting effectiveness is critical and sometimes difficult, but this can be simplified by using meeting management tools such as MeetingBooster. A meeting is only as effective as its participants. When conducting a meeting, be sure to invite the right people. Deciding who the right attendees are can be a tricky task. Without proper meeting feedback, it is nearly impossible to assess the most effective employees to invite. 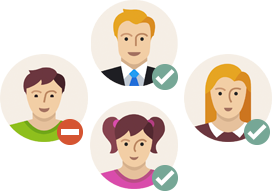 Meeting management systems such as MeetingBooster provide users with tangible data, ranking employees on various factors, making it easier to invite the right people to the right meetings. Meetings can easily lose focus. A proper agenda and time estimation assists, but you must be sure to keep the group engaged on the topics at hand. If a conversation strays from the focus, speak up and bring it back to the agenda. Meeting minutes and action items are a must when learning how to conduct a meeting. Designating a note taker ensures that someone is capturing the important information; also known as the meeting minutes. Prior to the meeting, determine a proper format for the meeting minutes. Be sure to close out topics with conclusion and decision statements. If topics require actions by certain employees, be sure to capture the pertinent information, and assign due dates and priority levels. 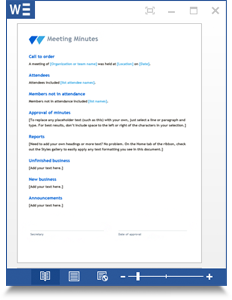 If you are looking for an automated way of capturing information and assigning tasks, try MeetingBooster. Meeting feedback is essential when learning how to conduct a meeting in a more efficient manner. Without feedback, it is a guessing game. Having surveys, comment submissions or an open forum are great ways to get feedback on the meeting, the host and the participants. Conducting a meeting has many variables, and each variable should be evaluated in order to improve and streamline processes. Learn how to conduct a better meeting today!